With TCM committing a good portion of each week during January to Hal Roach Studios, I’ve managed to catch a couple of short subjects from the production company, all of which are new to me. 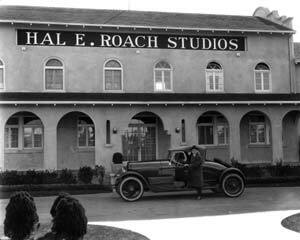 Hal Roach, in fact, I had never heard of before this month. I mentioned catching a couple Laurel & Hardy shorts, with several more on my DVR, but last night I watched another comedic duo, Kelly and Roberti, in addition to a half-hour TV spot from the Screen Directors’ Playhouse. Lyda Roberti and Patsy Kelly are cute in Hill-Tillies which involves the two staging a “back-to-nature” stunt in the woods to gain fame that will hopefully qualify them for a job at a burlesque theater. The plan is to have their friends bring them the necessary camping supplies so they will not be relying on the land, as they’ve told the press. Immediately lost in the woods, however, the duo spend the first night on their own before the necessities finally reach them. Kelly reminds me of Oliver Hardy in her approach to comedy. She even has a masculine air about her and acts as the boss of the operation. Roberti, on the other hand, gives off more of a Chico Marx feel –she has the accent and physical goofiness that Marx brother offers. Whether it be a Polish or fake Italian accent, somehow I find the abuse of the English language highly entertaining. There is a certain amount of creativity in finding alternate ways to convey the same meaning using an unconventional assemblage of words. No. 5 Checked Out, which was among the many short movies produced for TV with high-end budgets and major stars through the Screen Directors’ Playhouse, was directed and based on a story conceived by Ida Lupino. 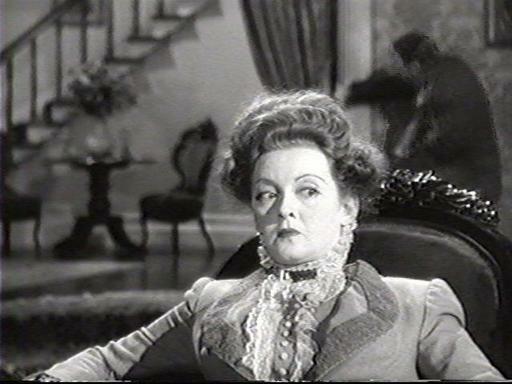 The actress directed a limited number of feature films but found a home directing television. This short stars Teresa Wright, Peter Lorre, and William Talman with a gritty crime-based plot familiar to Lupino. Wright plays a deaf girl who has retreated to a campground her father runs after a harsh breakup from a man who did not care for her disability. When her father dashes off somewhere leaving her to run the place alone, she is surprised to have two guests who insist on staying in a cabin even though the season does not start for two weeks. Lorre is some hardened criminal/murderer who is on the lamb with his partner played by Talman. The latter makes friends with Wright, going fishing with her, etc., with the intention of stealing her car so he can continue to run from his crime (It is unclear whether he is also running from Lorre or if the two just need to switch vehicles.). It takes Talman a while to realize Wright is deaf and when he does he likes her even more. When Lorre thinks the woman has overheard him callously say the men “are wanted for murder” he has ill plans, but Talman stops his partner, who intern stops him. No. 5 Checked Out is a really great, slimmed down story that easily could have been broadened into a longer script. The quality on the show was also great. I felt like I was watching a full-length feature and was not sure how the story was going to wrap itself up so quickly. This story does a fine job of keeping things short without leaving the audience feeling as those the ending comes to soon or just cuts off the story. I am not sure any of the Screen Directors’ Playhouse episodes are available for purchase and most did not air more than once on TV. With TCM’s showing this week, it is the first time the episodes have been seen since the ’50s.